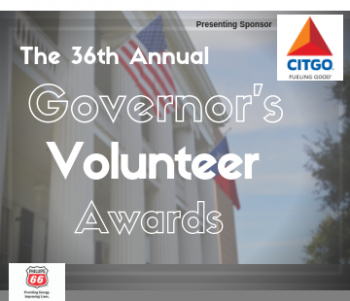 Nominations opened Tuesday, March 5th for the 36th Annual Governor’s Volunteer Awards for 2019. Awardees will be honored in the fall at an evening reception hosted by Honorary Chair of the Governor’s Volunteer Awards, Texas First Lady Cecilia Abbott. The Governor’s Volunteer Awards are administered by the OneStar Foundation, and are an opportunity for the State of Texas to honor those who exhibit excellence in serving their communities. Click here to view photos from the 2018 awards ceremony. If you wish to volunteer in response to Hurricane Harvey, please visit the Texas Voluntary Organizations Active in Disaster page for organizations that include volunteer engagement as a key component of their operations. Please be patient and do not self-deploy, as unexpectedly showing up to any of the communities that have been impacted by Hurricane Harvey will create an additional burden for first responders. Please wait until our communities are safe and public officials and disaster relief organizations have had an opportunity to assess the damage and needs. A financial contribution to a recognized disaster relief organization is the most effective donation to make. Please click the link provided below for more information. Governor Greg Abbott announced that the Michael and Susan Dell Foundation will be collaborating with the OneStar Foundation to form a relief fund for Texans impacted by Hurricane Harvey called the Rebuild Texas Fund. To support all of the Texas communities devastated by Hurricane Harvey, the Michael & Susan Dell Foundation is leading the charge to raise $100 million for the Rebuild Texas Fund. Michael and Susan Dell have committed $36 million to the fund. 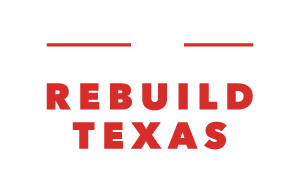 The Rebuild Texas Fund is about people helping people in our time of greatest need, and also about addressing the long-term effort ahead of us. Rebuilding our communities across Texas in the wake of Hurricane Harvey will take all of us working together for years to come. We invite all of you to join us with your resources and your expertise. We’re in this together. 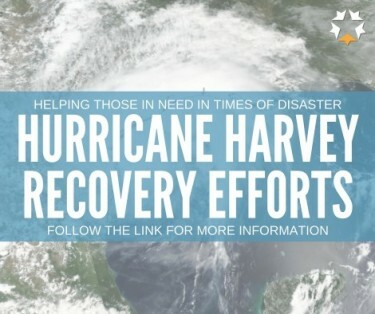 VolunteerTX supports volunteerism across Texas by connecting concerned citizens with volunteer opportunities in our local communities during times of disaster. VolunteerTX works with the Texas Voluntary Organizations Active in Disaster and other trusted local agencies to see if they have available volunteer opportunities in your area. Signing up with experienced relief organizations allows for greater coordination and helps to minimize the chaos inherent in disaster response work. While you may encounter required registration and background check requirements that delay immediate activation, these processes are in place to ensure the safety of those being served, and going through official channels makes you a much more reliable and valuable volunteer in the long run. Every Texas community engages partners and volunteers to address local needs. OneStar equips Texas communities to meet their needs by convening partners across sectors to build the capacity of nonprofits, promoting service and volunteerism, and investing in effective solutions. OneStar is a statewide convener, bringing together key stakeholders from nonprofits, business, government, academia, and philanthropy to advance collaborative approaches that build strong, resilient communities. OneStar promotes the value of service and volunteerism, effective philanthropy, cross-sector partnerships, and innovative practices to drive community solutions. OneStar strategically invests our resources and talent to strengthen promising programs, scale proven models, and provide essential tools and support in alignment with state priorities. Click here to learn more about Join Hands Day! Find volunteer projects at http://www.serve.gov/.